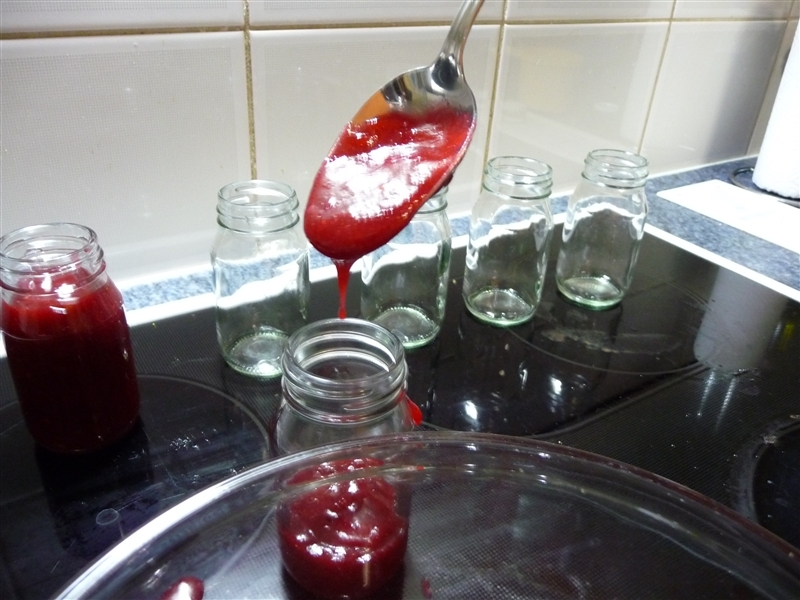 This evening I made raspberry cordial. I have heard that it is very good for tummy upsets. 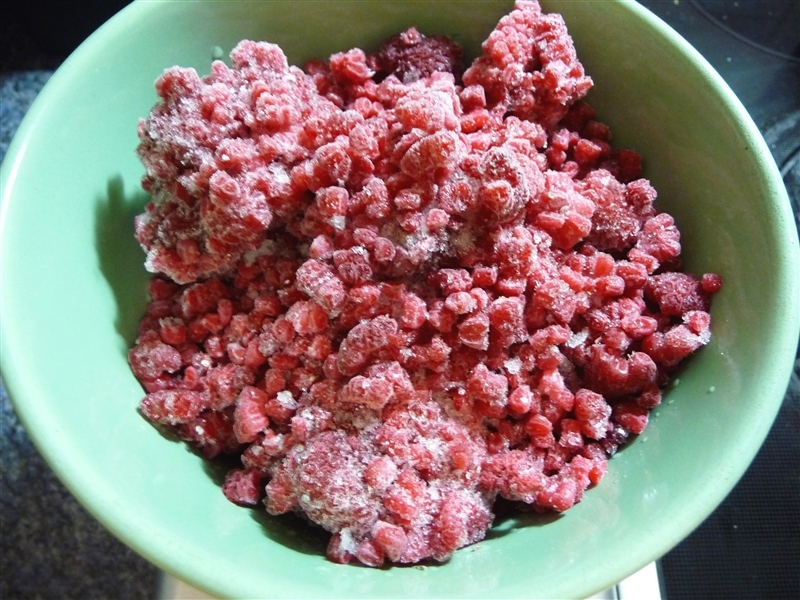 A couple of months ago I brought a kilo of frozen raspberries and they have been in my freezer and I have thought several recipes that I wanted to use them in. 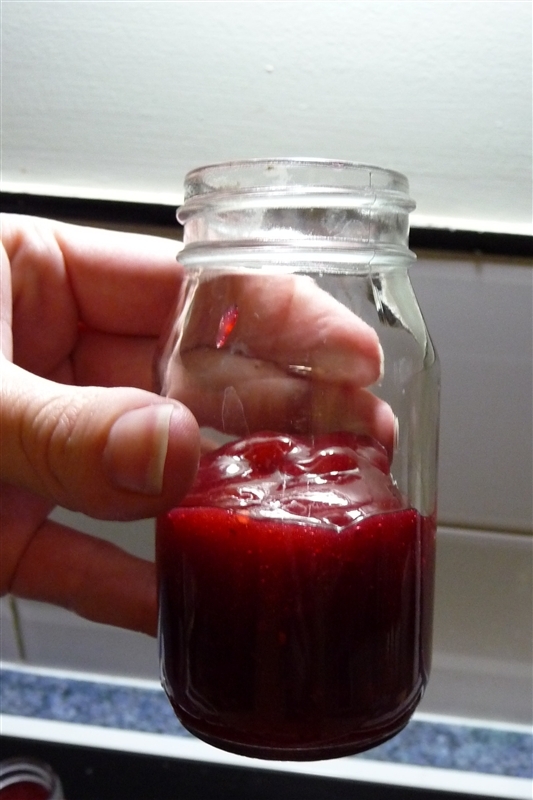 With a tummy bug doing the rounds of the kids and teachers at the school, I have made my first batch of raspberry cordial. The idea is that you add it to mineral water and your tummy feels better. I have heard from frequent travellers who go to Bali and Thailand that they never travel without a small bottle of raspberry cordial. 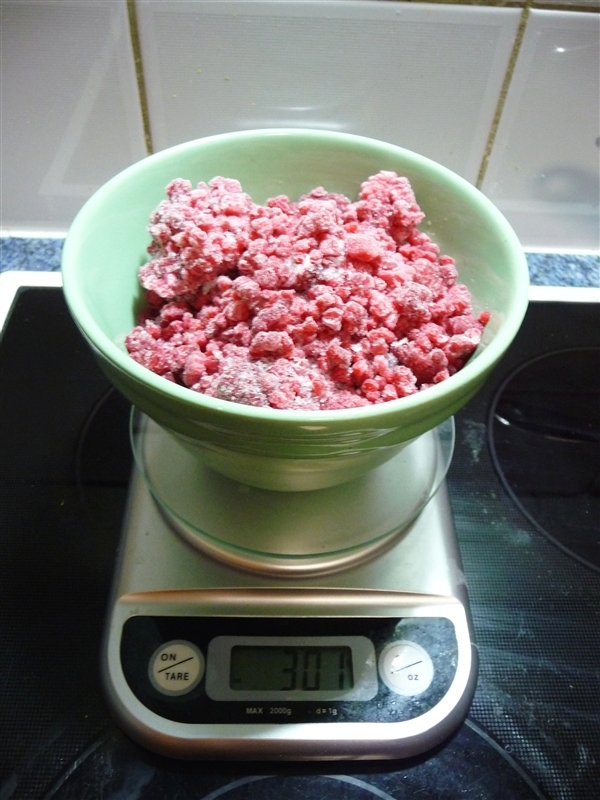 Grab 300 grams of raspberries. Shucks I will have to eat the extra 1 gram of raspberry. Add a cup of caster sugar. 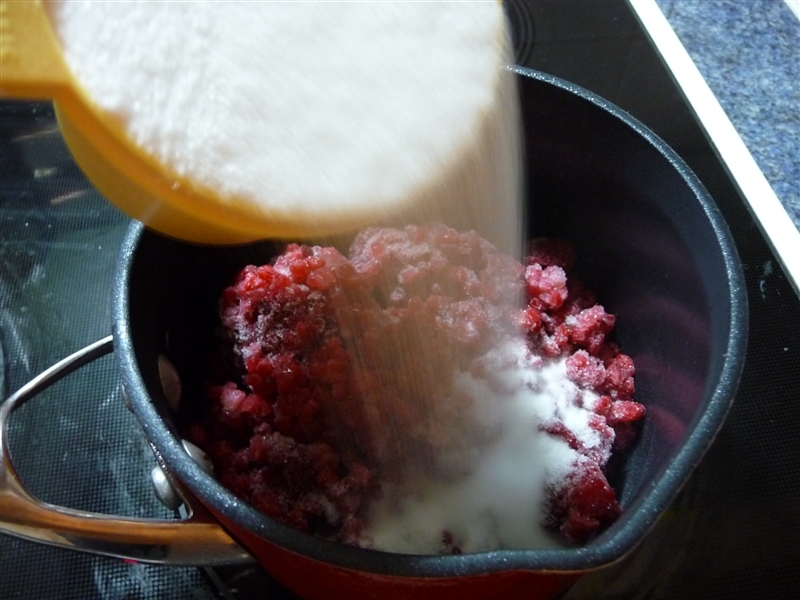 Start out on low heat until the sugar melts and then turn up high. 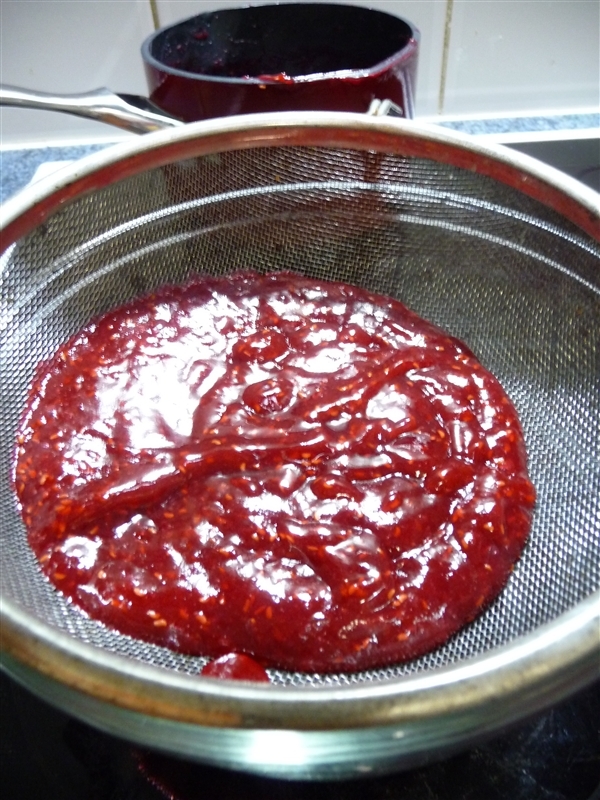 Bring raspberries and sugar to the boil. Be very careful not to let the mix splatter because it burns your skin. Contine to stir the pot and have refreshments on hand. This is the last of the orange cordial. 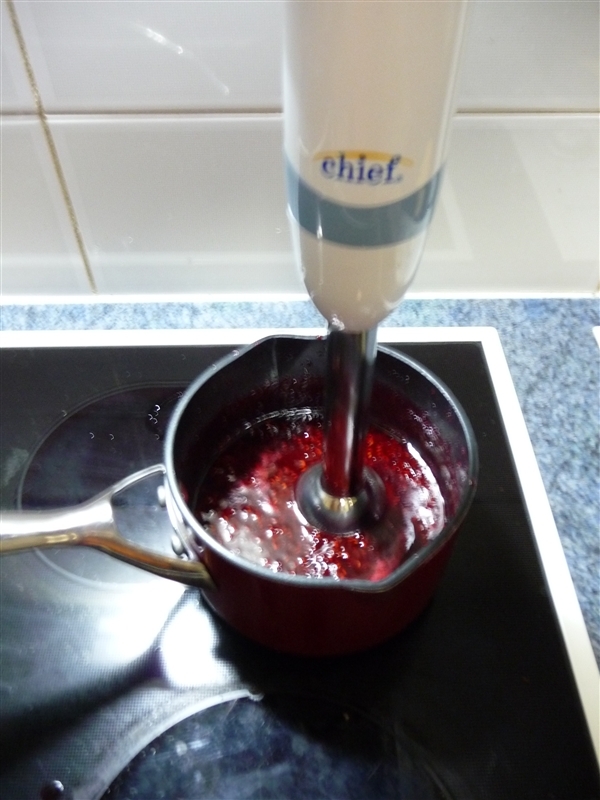 After a couple of minutes when the mixture starts to thicken, take it off the heat and give it a whiz with a stick blender. Or if you don’t have a stick blender use a regular blender. Pour of the raspberry cordial into a strainer, over a glass bowl. I did this stage while it was still hot. 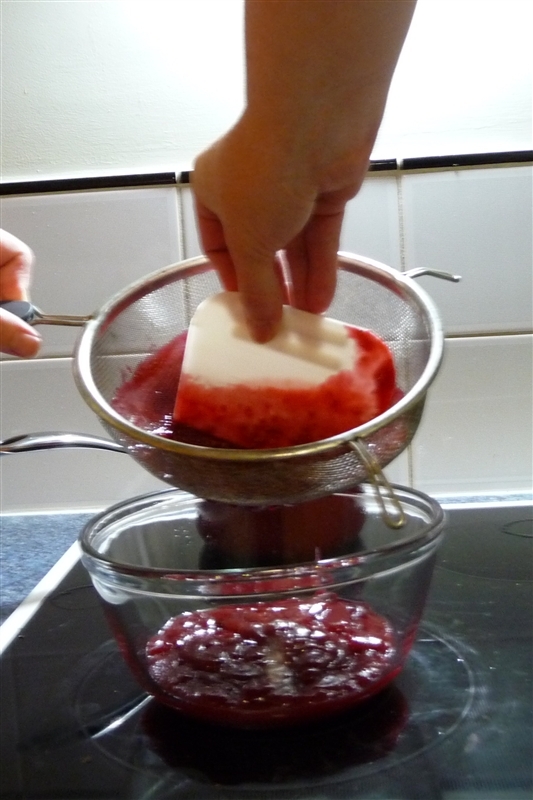 I used this bowl scraper to push the cordial through the strainer. The kids had a taste and both loved it but my favourite daughter said it was a little too raspberry. Rasberries are not her favourite fruit. 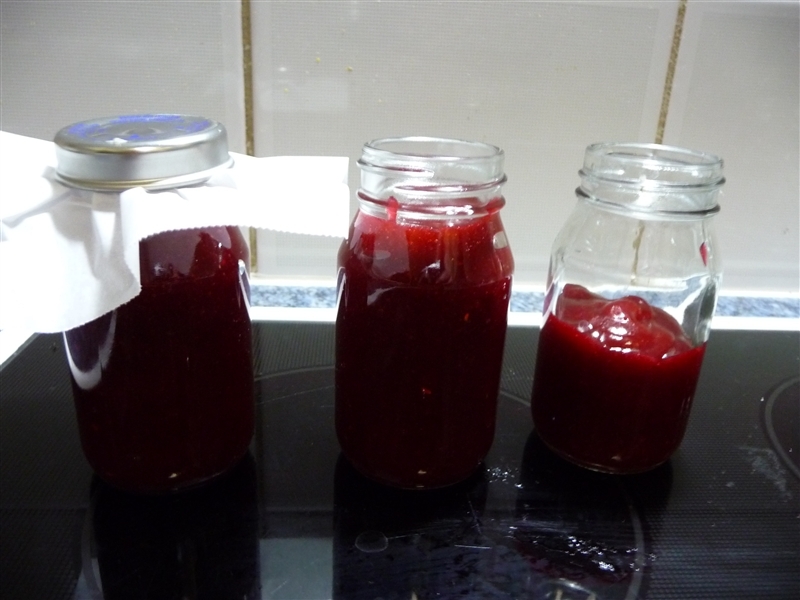 The 300 grams of raspberries and 1 cup of sugar = 2 & 1/2 mini jars of raspberry cordial. 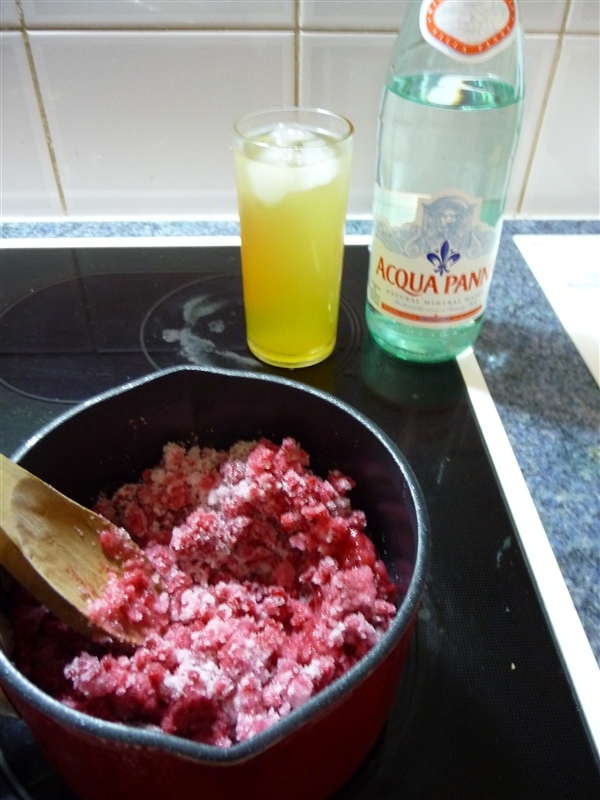 Will have to wait until this weekend to give it a try the raspberry cordial with fresh mint and mineral water.